“Sample Offset” is another new feature of EAC, it will help to always get the same WAVs compared to a different reader drive and to prevent generation losses that way. Nearly all drives are not able to position their head correctly. That means if the program tells the drive to read block 10000 it will perhaps read data somewhere in block 9998 instead. But this is not obvious to the reading program, it will not know if it does really received the data it wanted. Usually the head will be set always to a fixed offset before or after the correct read position. So it is possible to detect this offset once and use it for all CDs coming afterwards. Because it is very difficult to determine the absolute exact offset for each drive, I determined a very probably offset once on my Plextor 14/32. 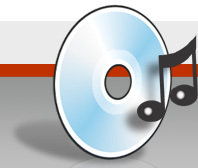 As different designs of CD-R writers usually do not add the same offset on writing, it seems that also big CD manufactures also do not always press the same offset on their CDs. The most common offset of pressed CDs is integrated into the offset detection routines. To find out the offset of any other drive, the offset is calculated relative to that absolute offset. To implement an offset detection for any other drive, EAC has an included database with some CDs where the offset is known. These are the reference each CD-ROM drive is compared with. Of course EAC does only include a very limited selection of CDs that can be used to detect this offset, a list can be found in the next menu point. Sometimes there are different versions (releases) of the same CD, but only the same press like the one used for creating the database, the detection of the offset will work. That is why the table shows a code, that is written on the inner ring of the music CD, that should identify the release of a CD. The red codes are from CDs which do not work with this test. Drives that have jitter are unable to position their heads correctly. So you should activate the secure or fast extraction method and moreover if your drive does caching, activate the cache flushing. The “Searching Track Start” algorithm tries to find the correct start position even if jitter occurs. But this is not always possible, mainly if the drive jitters too much. YOU SHOULD USE THIS TEST ON TWO DIFFERENT CDS AT LEAST! BOTH TESTS SHOULD GIVE BACK THE SAME VALUE! The Plextor 14/32 has an offset value of +679 samples, which means that 679 samples usually are missing at the end of a WAV file. AccurateRip can also be used to determine the drives offset, this is exactly the same offset as detected by EAC. But AccurateRips database is much larger than EACs, so just let AccurateRip detect your offset with one or more audio CDs which it recognize as offset reference. Please help to measure more reference CDs. Just send the AccurateRip result after extracting some discs to the AccurateRip database using the menu within EAC.